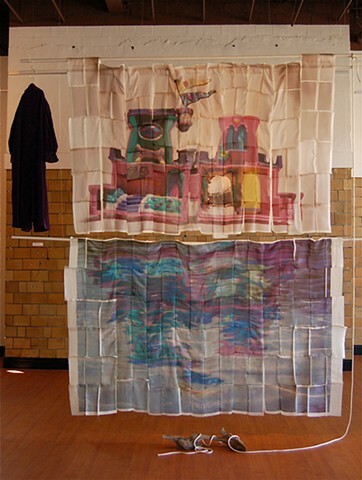 Enlarged, digitally altered photos of my daughter’s tiny plastic “castle”, tiled, printed on silk, and machine-sewn together. The lower half: as if reflected in water, of the upper (lower image created from a photo altered via Photoshop). Merging of despair and hope, for myself & our country.